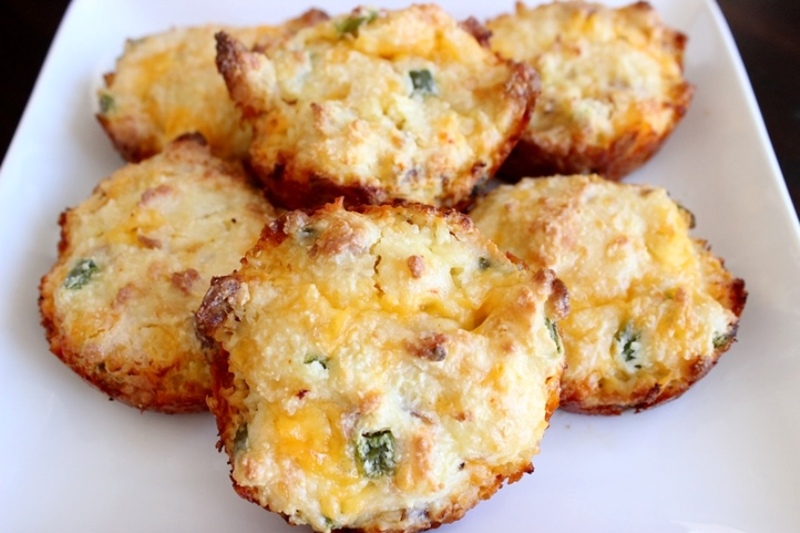 Try these delicious Low Carb Jalapeno Bacon Biscuits sure to satisfy! Soften cream cheese in microwave for 30 seconds; crack the egg and mix thoroughly with cream cheese. If desired, add red pepper flakes. 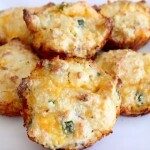 Shred pepper jack cheese and add to cream cheese along with cheddar cheese; mix. Add water, heavy cream and almond flour to cheeses; gently fold with a rubber spatula until combined. Add bacon and jalapeños to the dough; stir until combined. Evenly distribute biscuit dough among muffin cups.